Kabuto in game: 3,188 Who? Important notice! 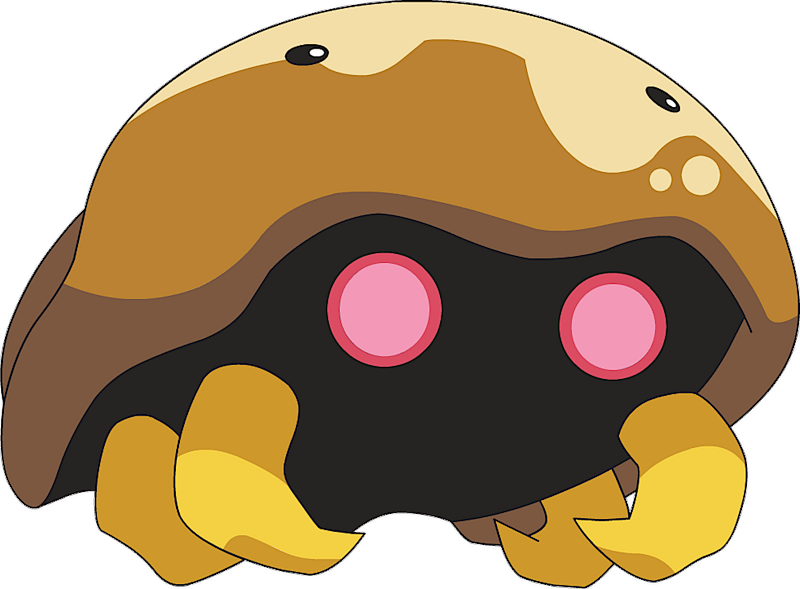 Pokemon Kabuto is a fictional character of humans. 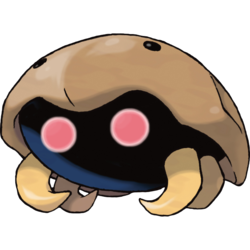 Kabuto is a small Pokémon with a large brown shell covering its body. There are two small eyes facing upwards on the outside of its shell, which it uses for sight when it hides on the ocean floor. The structure of its body is almost entirely unknown, except its four short, yellow legs and luminescent red eyes on its underside. Having been thought extinct as of roughly 300 million years ago, in modern days, most living Kabuto are resurrected from Dome Fossils. Although Kabuto have been found fossilized by way of lying on the ocean floor for millennia, on rare occasions, it has been found still living. In its original time, it was prominently found on beaches, likely aided by its fast and powerful swimming ability. 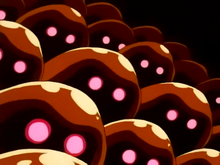 As seen in the anime, Kabuto prefer seclusion and can be very territorial. 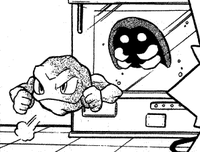 Kabuto was one of the Fossil Pokémon that attacked Ash and Team Rocket until being scared off by an Aerodactyl in Attack of the Prehistoric Pokémon. In Shell Shock!, a "deranged old man" named Umberto was saying that an island full of Kabuto Fossils would sink once the moon casted a red glow. He was right, because the Fossils came to life and the island collapsed, since the Fossils kept the island together. In Dealing With Defensive Types!, a Kabuto, along with an Omanyte and Omastar, attacked Team Rocket in the Canalave Gym. Bill was trapped in a Kabuto costume at the beginning of Mystery at the Lighthouse. A Kabuto appeared in a fantasy in A Ruin with a View and Where's Armaldo?. A Kabuto appeared in the opening of Lucario and the Mystery of Mew. A Kabuto appeared in Wild in the Streets!. A Kabuto Fossil is seen in A Night in the Nacrene City Museum! as an exhibit in the Nacrene City Museum. Brock rescued the employees of the Pewter City Museum and got a Kabuto as thanks in Striking Golduck. It eventually evolved into a Kabutops prior to the Gold, Silver, & Crystal chapter.